How can a tiny antenna cause such a big problem? 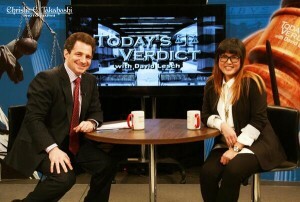 When copyright law, big broadcast networks and politics are involved, it starts to make sense. At least in the case of American Broadcasting Systems, Inc. v. Aereo, Inc., a case and story that has been making headlines for the perceived impact the decision could have on both the broadcasting industry and cloud-service providers. Before we get into the legal discussion (read: the exciting part), a little background may prove useful. 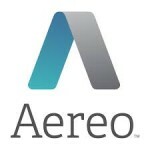 Aereo is a start-up technology company, founded in New York City in 2011. Their business consists of providing television streaming services, through tiny antennas stored in various warehouses, allowing “customers [to] watch about 30 channels of network programming on a computer or mobile device” and the cloud for “DVR-like storage”. Since launching, the company has faced a hailstorm of lawsuits across the country, with a pretty solid track record of wins. The current Supreme Court case is the result of an appeal on one of these said wins in the Second Circuit, where the Second Circuit denied a preliminary injunction against Aereo, finding (relying on its own precedent in Cablevision, decided in 2008) that there was no copyright infringement; therefore, no injunction was warranted. Last month, the Supreme Court heard oral argument to shed light on the issue of “[w]hether a company ‘publicly performs’ a copyrighted television program when it retransmits a broadcast of that program to thousands of paid subscribers over the Internet”. 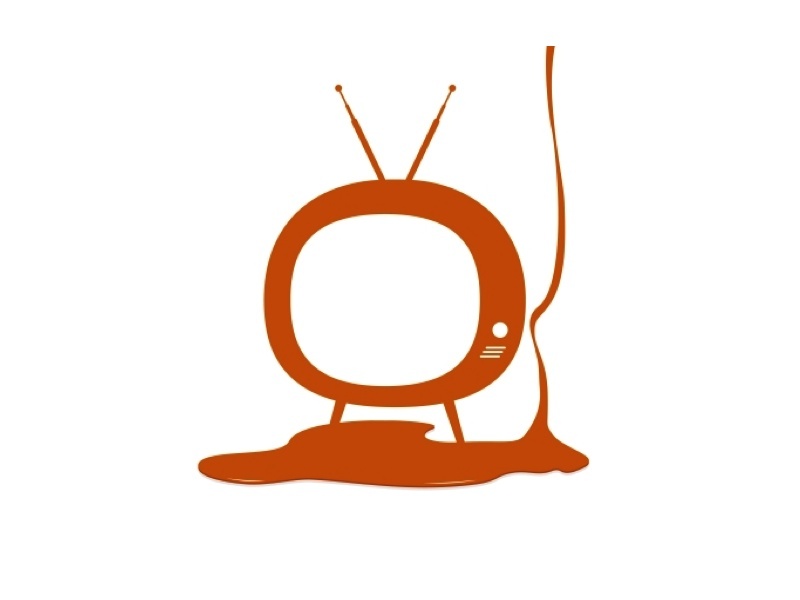 Being that television, and all the ways we are now able to watch it, is a staple to American life, it should come as no surprise that there are strong feelings on both sides of the aisle when it comes to making the decision. Copyright law confers certain exclusive rights to the copyright holder; one of these rights is the ability to “publicly perform” a work. But public performance may not be the same in the eyes of copyright as you might think. Instead, as it is defined under the Copyright Act, “[t]o perform or display a work ‘publicly’ means— (1) to perform or display it at a place open to the public or at any place where a substantial number of persons outside of a normal circle of a family and its social acquaintances is gathered; or (2) to transmit…a performance or display of the work…to the public, by means of any device or process, whether the members of the public…receive it in the same place or in separate places and at the same time or at different times.” This somewhat broader (and kind of awkward) definition of public performance is what the broadcasting companies are sinking their teeth into as the crux of their argument that Aereo’s technology infringes on their copyrights. 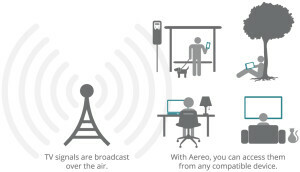 They claim that what Aereo is doing is exactly what is prohibited by the Copyright Act: transmitting the work (here, broadcast television programs) to the public by means of a device, regardless of whether these people are seeing the programs at the same time. In its defense, “Aereo claims to have figured out a way to let its subscribers, [as their ads put it, ‘Watch live TV,’] while circumventing the legal responsibilities that were, for the past 38 years, thought to be inherent in the provision of such a service.” In fact, their entire business model is based on a recent Second Circuit decision (Cablevision) that would enable them to escape the liability they now may face. They claim that their technology is no different than the completely legal rabbit-ear antennas that some of us grew up with, and not some business out there to circumvent the law. But is this accurate? The $8 per month fee seems to cut against finding that Aereo is no more than an antenna provider. And unlike in Cablevision, Aereo doesn’t have (or even claim to have) any licenses for the programs it streams to its customers. Instead, they rely on the argument that the programs are already streaming for free to people, so they are simply the facilitator between the end user and the broadcast company. Further, they contend, there is nothing public about the program a customer streams to their phone; each customer has a different program coming to their device at different times, and this, Aereo claims, makes it so they are not “copies” under the Copyright Law. Unfortunately for them, the broadcast companies aren’t buying it. They claim that Aereo is nothing more than a copyright infringer. The Second Circuit Court of Appeals disagreed, as mentioned above, finding that “because the company is providing each of its subscribers with an individual transmission of a copyrighted program, it isn’t transmitting performances to the ‘public’; it is just sending out many thousands of separate ‘private’ performances.” This, in turn, prompted the impending Supreme Court decision, which is sure to garner much attention (and possible outcry). On the one hand, a decision against the cable companies would shake up the broadcast industry on a fundamental level: their revenue stream could take a major hit if Aereo and similar technologies are given the green light. On the other hand, a ruling against Aereo would threaten it, and other start-ups, and keep an oligopoly in the hands of cable companies (something, I’m sure, they wouldn’t mind). But is that what should drive the case? The big name players on both sides, the David and Goliath type story line? In my opinion, no. The Court needs to take a look at the facts and the precedent and decide, not cater to the desire of the giant broadcast companies or give the start-up what they feel is a much needed boost. Unfortunately, the decision will probably involve too much consideration of side issues (and too little knowledge of the technology involved) to achieve the end result, but only time will tell.